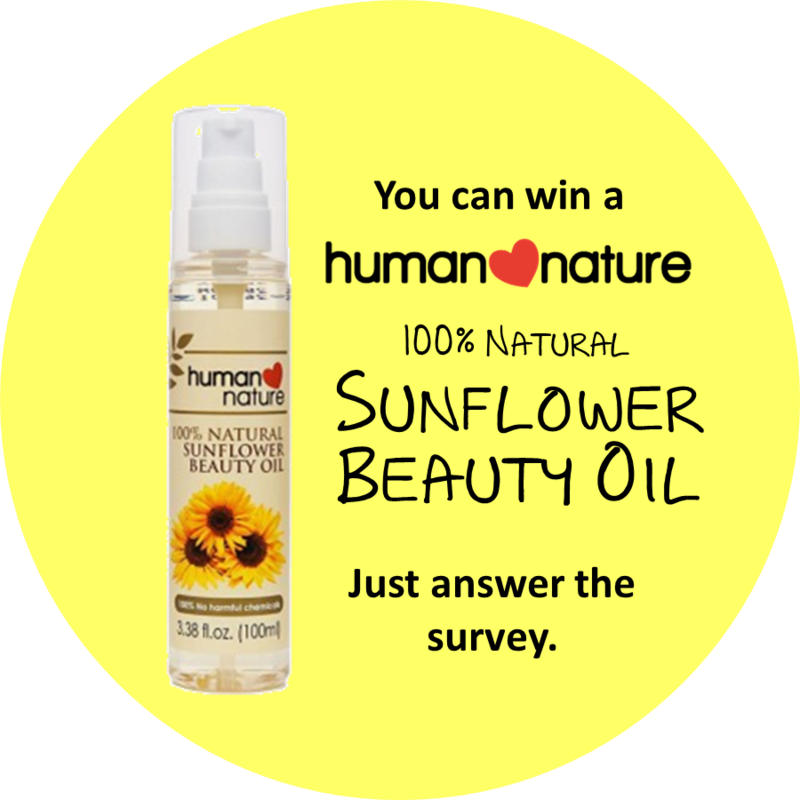 Life's Best Secrets: Get a FREE Human Nature Sunflower Beauty Oil: Just Answer the Survey! 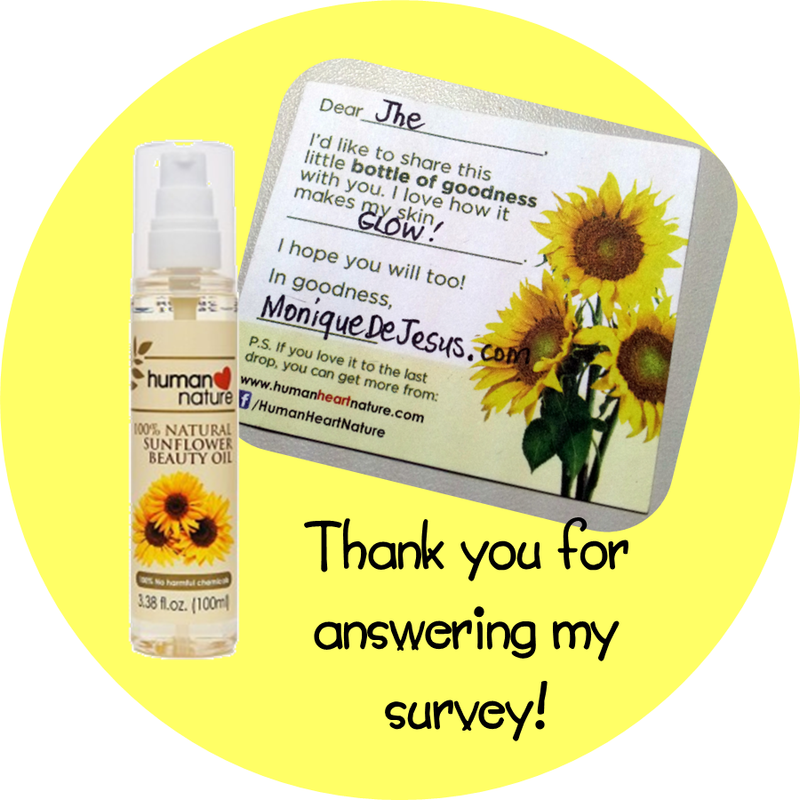 Get a FREE Human Nature Sunflower Beauty Oil: Just Answer the Survey! Hey lovelies! Here's the thing, I am on my last hurrah for my graduate school program which I have been taking for about three years now. It's been a ride. Now I need you to help me finish it by answering a survey for my graduate school thesis, and the best part is you can win a Human Nature 100% Natural Sunflower Beauty Oil as my thank you gift! To answer the survey, just click here. Your participation in my survey is highly appreciated. I hope you'll have fun taking it. It's not that long anyway, just about 2 minutes of your time. I hope you can answer the survey as best and as truthful as you can. I will get in touch with the lucky respondent soon through email. I will also announce it via our Facebook page. So make sure to like our page! Winner of this promo is Jhe David. Thank you for reading my blog! Got any comment? Post here.